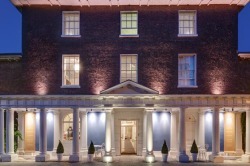 This intimate hotel is set in a Grade II listed Georgian gentlemans residence in central Exeter. 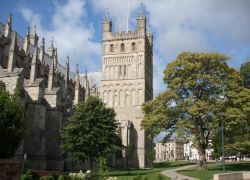 It offers luxurious rooms, a cocktail bar and a restaurant, just 5 minutes walk from Exeter Cathedral. Rooms at Southernhay House Hotel feature elegant décor and views over the garden and terrace. With spacious beds, all include a large flat-screen TV, iPod dock and tea and coffee making facilities, along with luxurious toiletries. Free WiFi is provided throughout. A full English breakfast or delicious cooked options are served alongside cereals, pastries and fresh juices in the private dining room. The restaurant has an a la carte menu featuring local and seasonal produce. Southernhay House is 5 minutes walk from the Princesshay Shopping district and 8 minutes walk from the Royal Albert Memorial Museum. 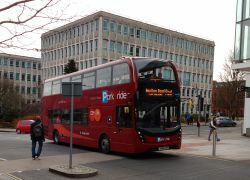 You can walk to Exeter Central Train Station in 10 minutes and Exeter International Airport is 6 miles away.